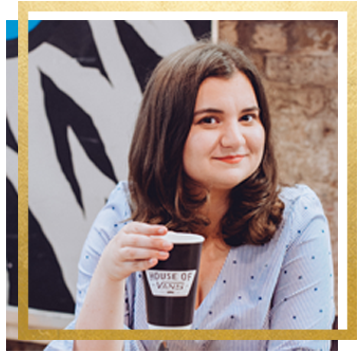 It’s been way too long since I spoke about Lush which means it’s probably about time I updated you on the products I’ve been using – specifically skincare. 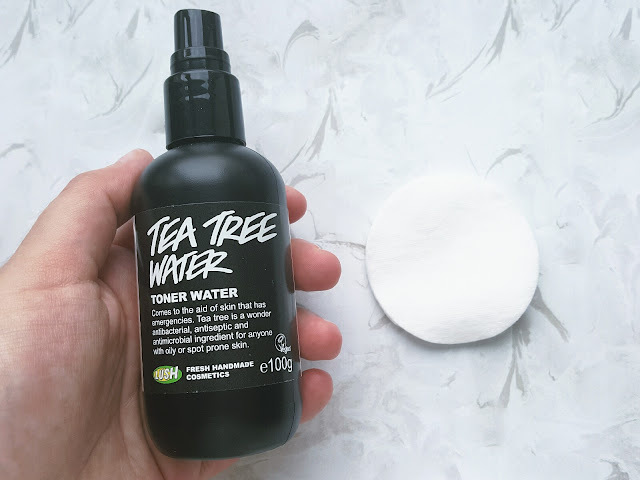 I rave about their bath bombs and bubble bars a lot (as you do, they are pretty amazing after all) which won’t be changing any time soon but I do feel like their skincare gets overlooked which is why I’m going to shine a light on the four products my face has been loving! Moisturisers were never my thing before I tried this one because I was convinced that if I used some on my face that my skin would become more oily than it already was. What I love about this one is that it feels really light on your skin and it didn’t feel oily at all which was a great surprise. 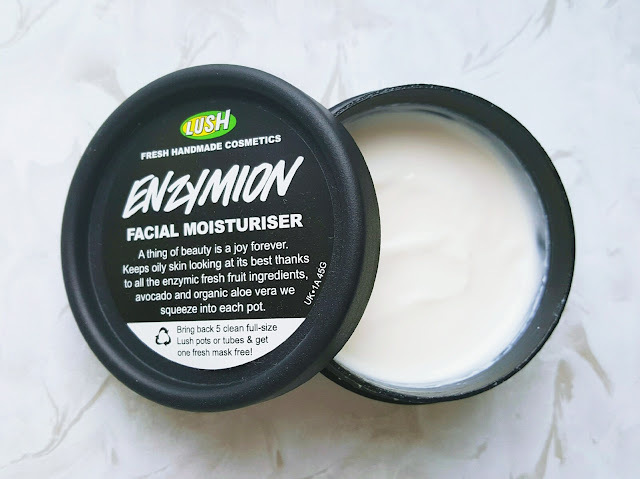 I’m not a huge fan of the smell as it’s more citrusy than I’m used to but apart from that I would definitely recommend this to anyone with oily skin looking for a face moisturiser! Now onto my favourite mask I’ve ever had! I use this about once a week whenever I want a relaxing evening to treat myself as well as my skin. I absolutely LOVE the refreshing minty scent it has even before putting it on yet it’s not overwhelming at all! I leave it on for about 15 minutes (sometimes a little longer if I get distracted) then go wash it off with water. 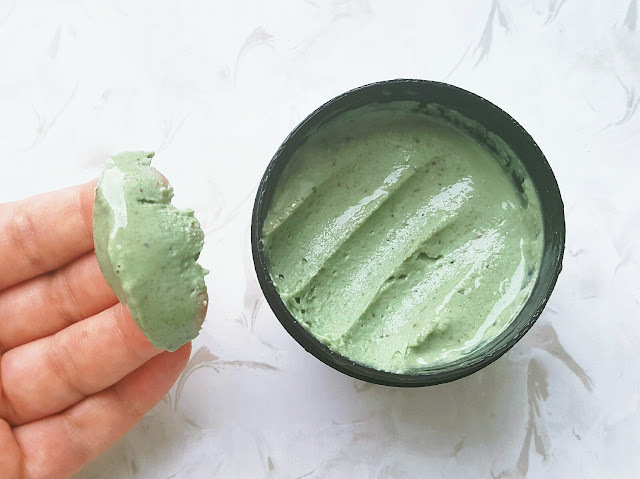 Sometimes it can be a bit of a challenge to get it off as it’s a clay mask but since it makes your skin feel amazing and helps reduce those annoying spots without any irritation it’s really worth it! This is the only one out of them all that I don’t use on a regular basis. 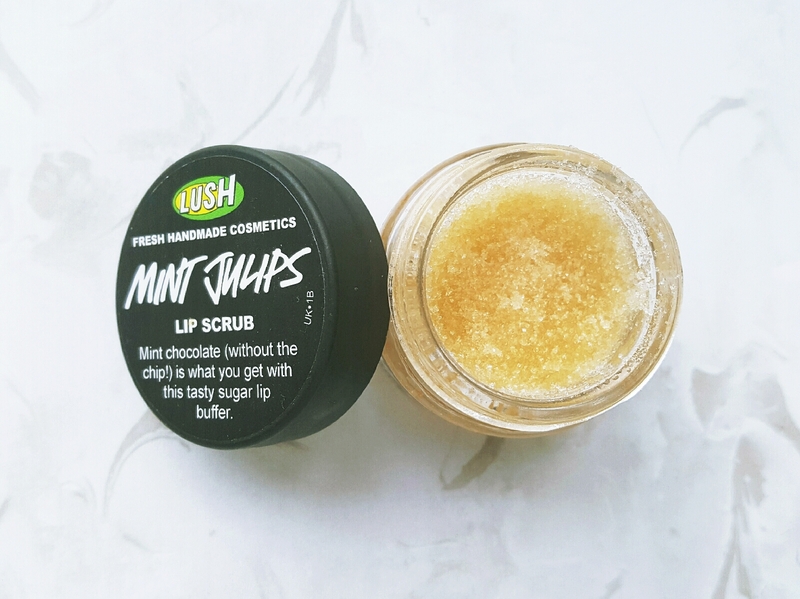 To be honest it’s only for when my lips are feeling like they need some TLC which especially happens in the colder seasons. The smell instantly reminds me of Aero mint chocolate and as you can probably tell from the Mask of Magnaminty I have a thing for anything mint. They also do the lip scrub in bubblegum and popcorn so if you want something that’ll leave your lips feeling lovely and smooth but aren’t a fan of mint you’ve got other options to choose from. Even after I’ve exfoliated I still want to make sure I get all the dirt off my face that I’ve gained from the day which is when this little beauty comes in! All I do is spray the water on a cotton woll pad and wipe it across my face. It smooths out my skin and makes it feel really refreshed, who wouldn’t want that? The smell isn’t my cup of tea if I’m honest as it screams HERB a bit too much.. luckily it doesn’t linger for long so I’m willing to deal with it so my skin can benefit. Another great non-greasy product for oily and spot prone skin! 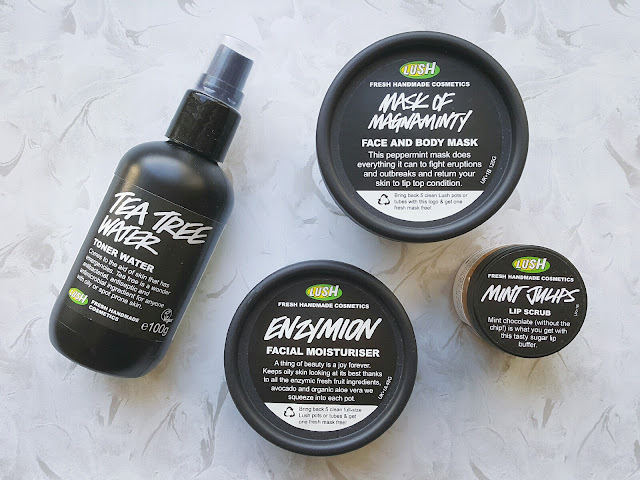 Have you tried any of the face products from Lush, if so which is your favourite and which wasn’t to your liking? The tea tree water has done wonders for me! I couldn't recommend lush products enough for skincare! Omg, I love the Mask of Mangaminty – I swear i used the jar up in a little over 2 weeks because the smell is aaaahmazing. It's definitely a great treat. Haven't tried the others, but the Angel on Bare skin (is that wat it's called..) is pretty amazing as well.